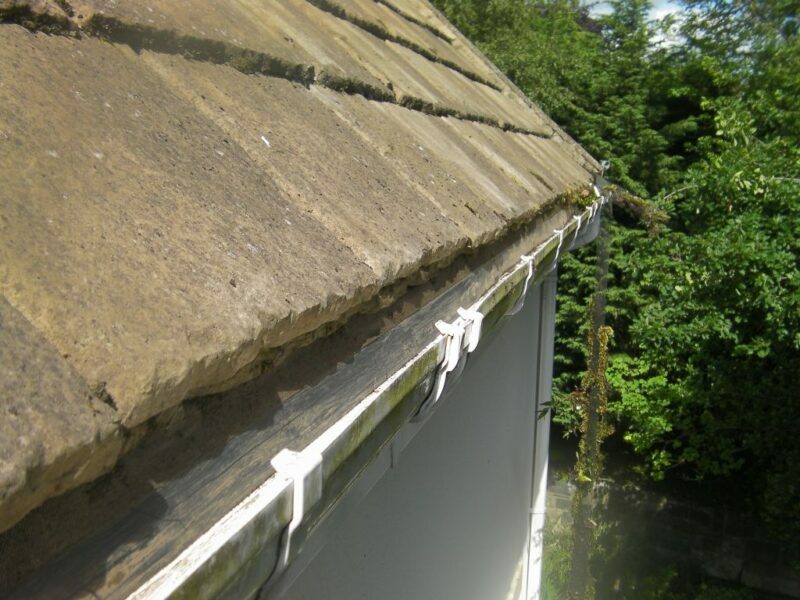 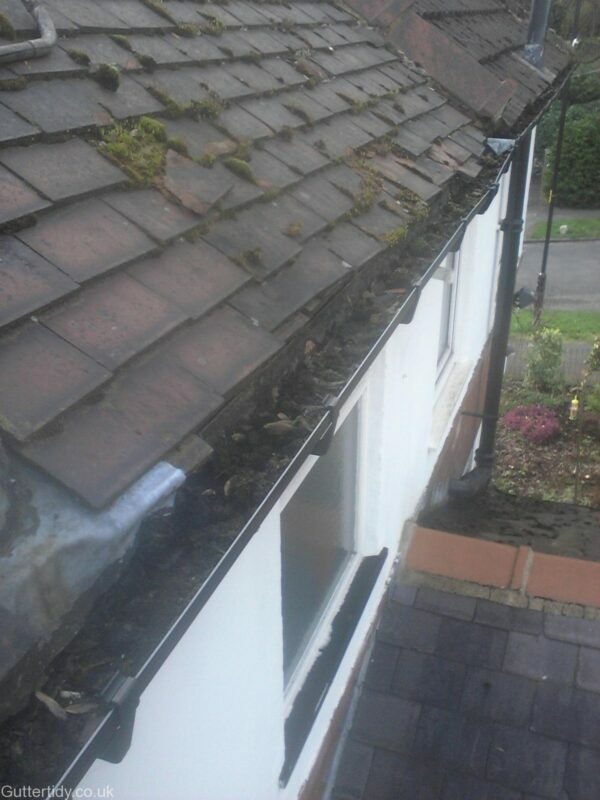 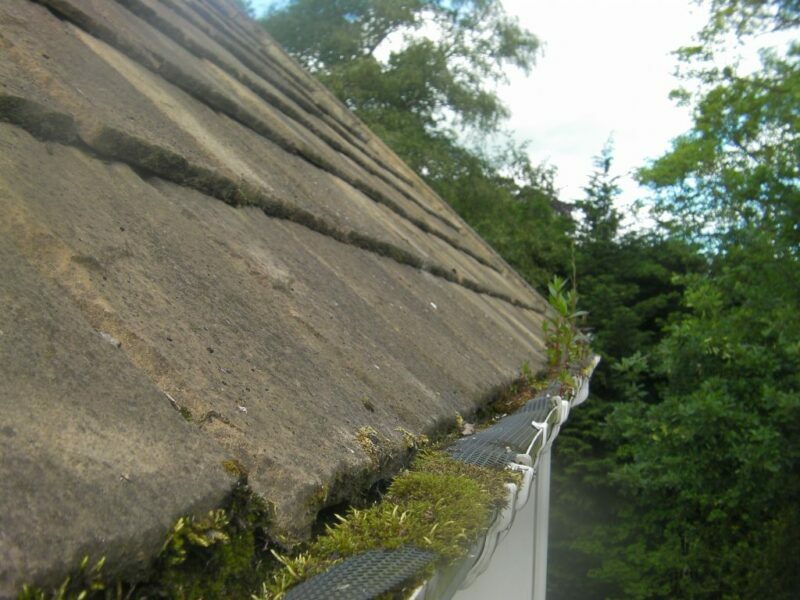 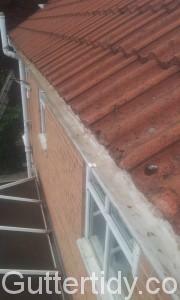 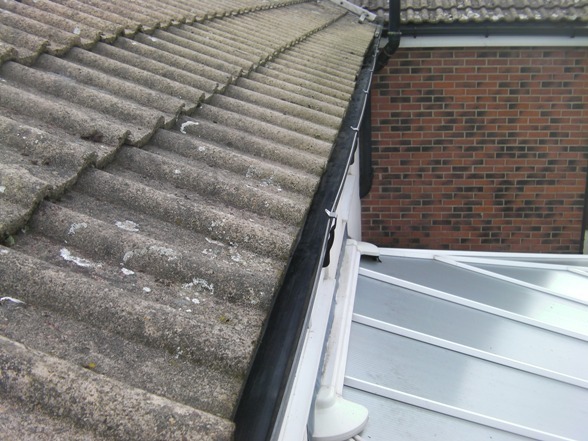 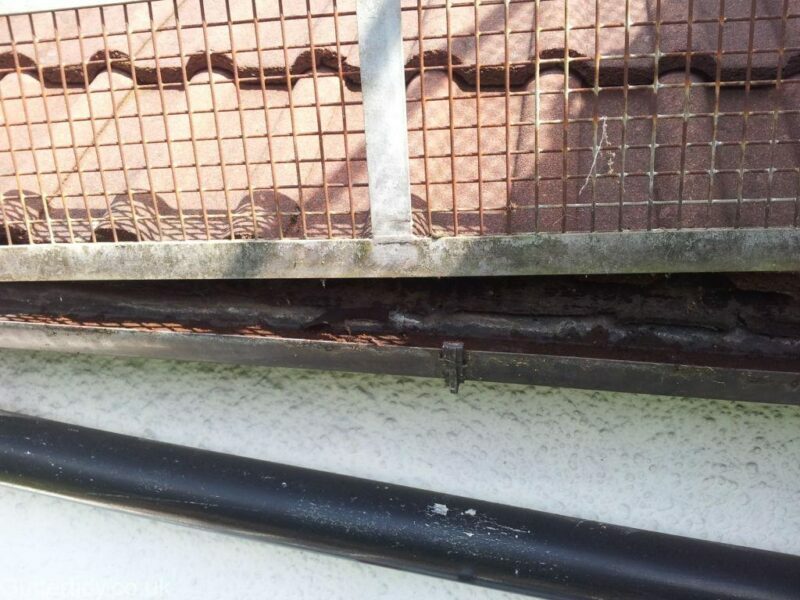 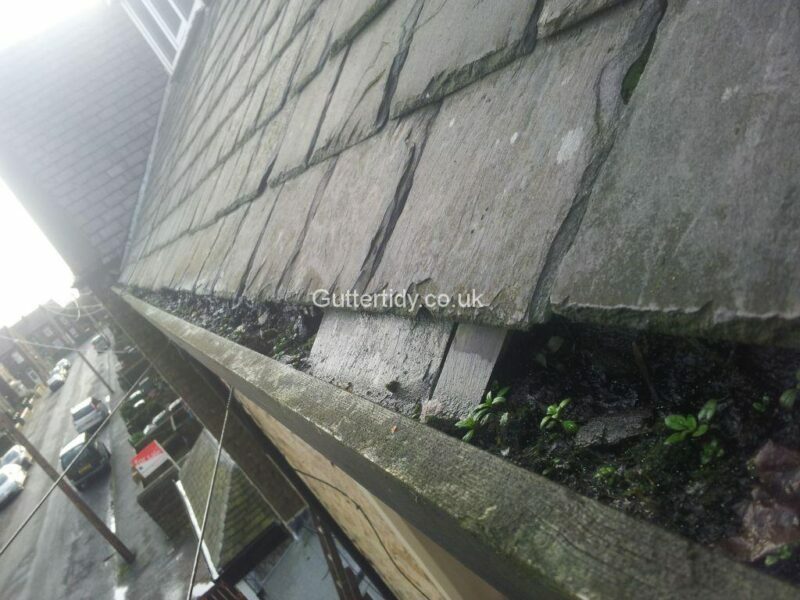 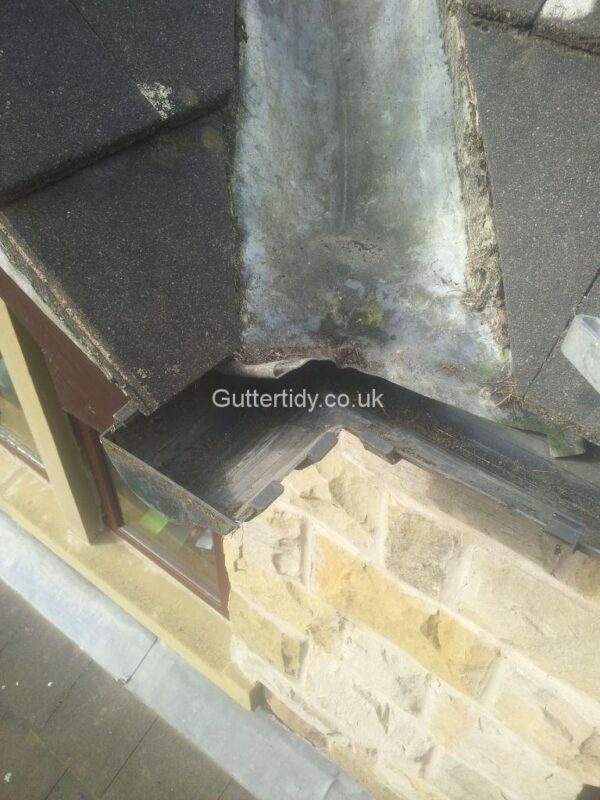 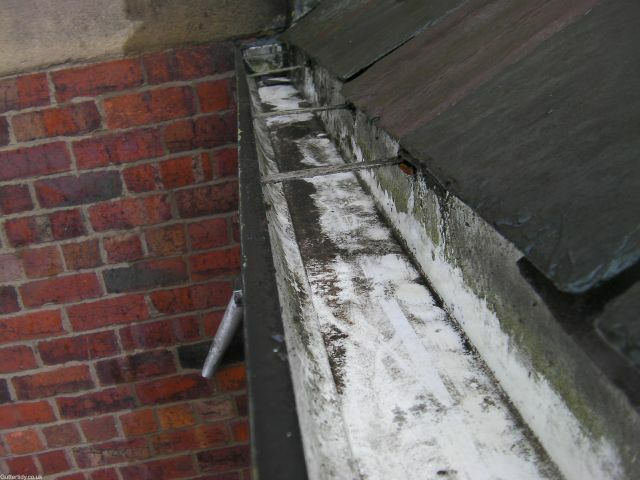 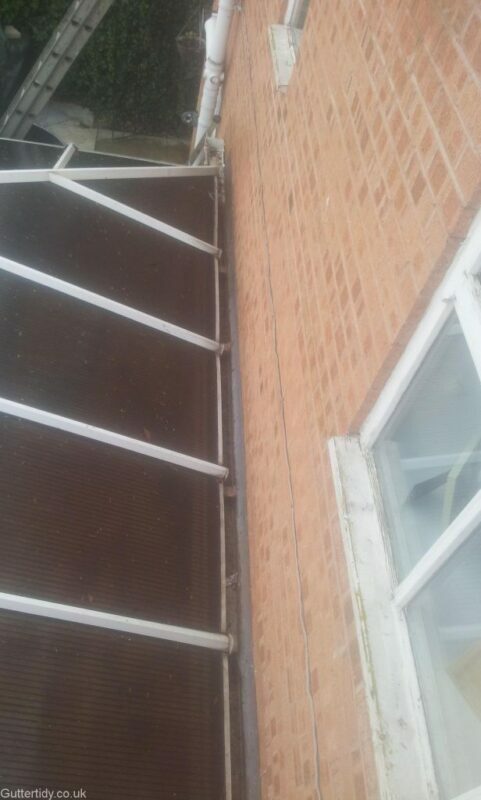 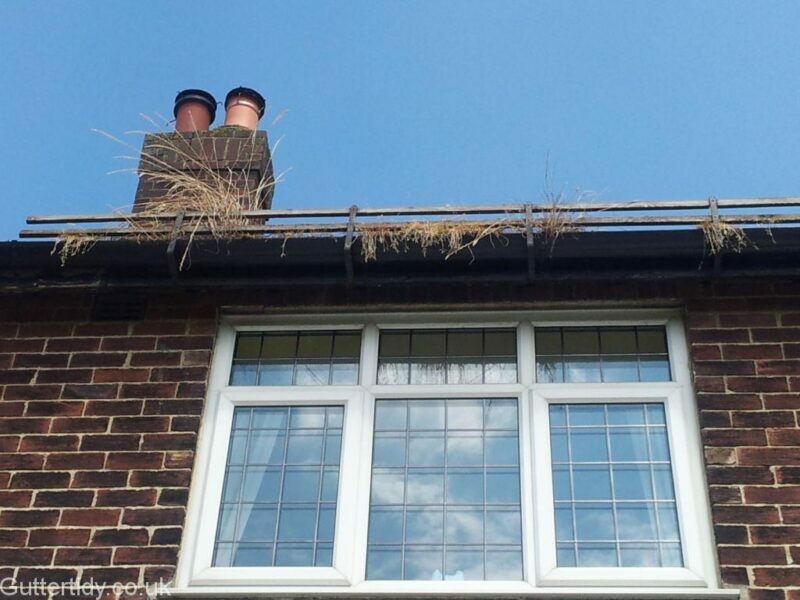 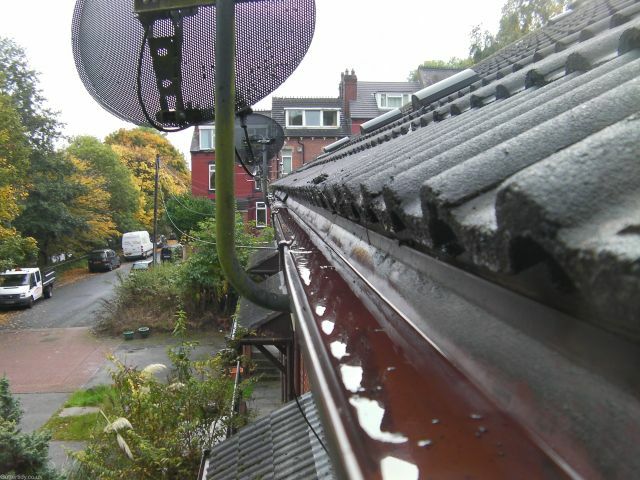 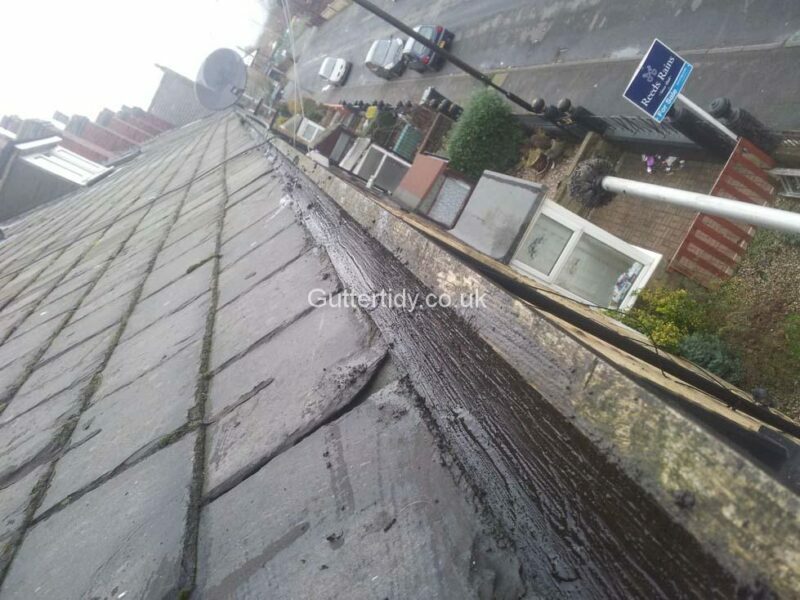 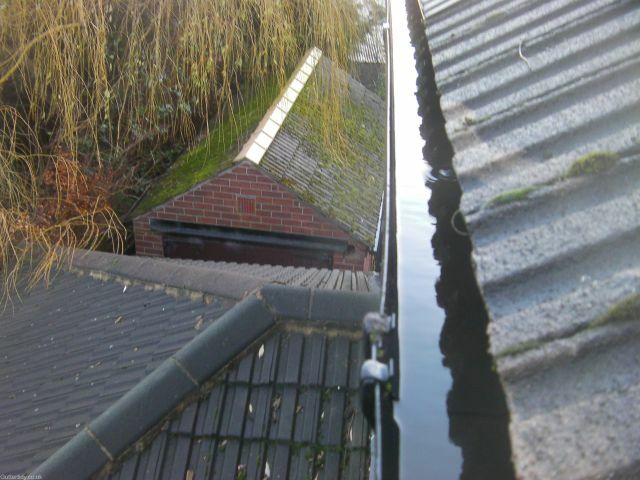 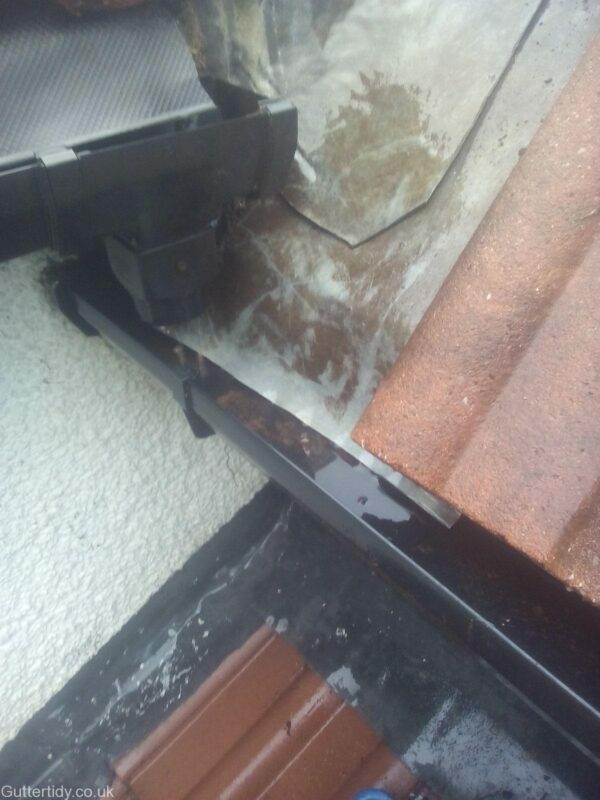 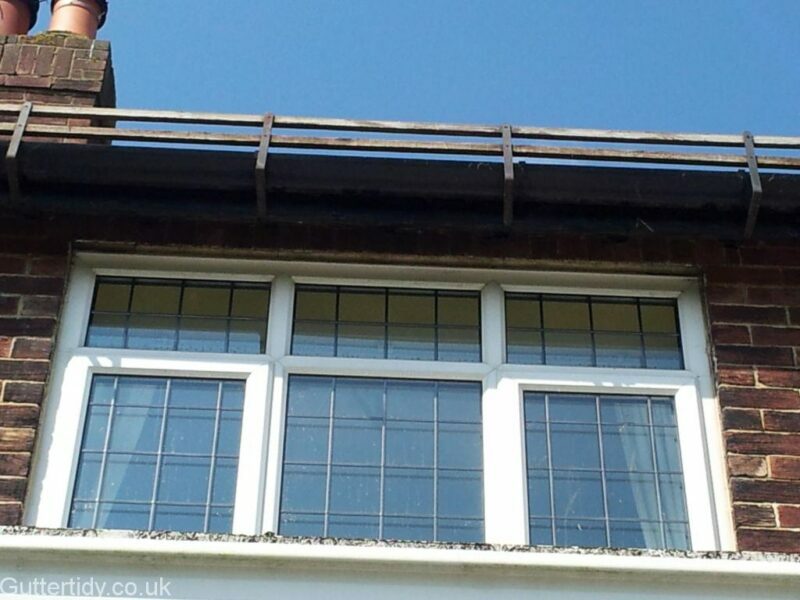 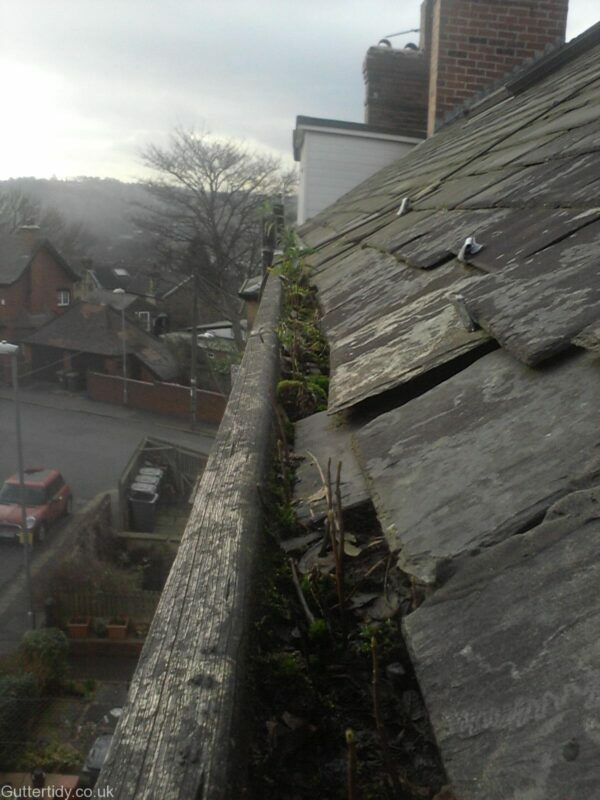 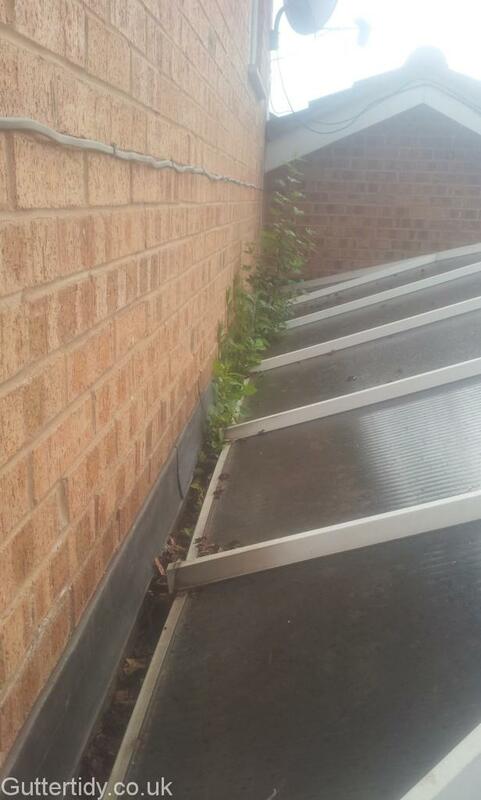 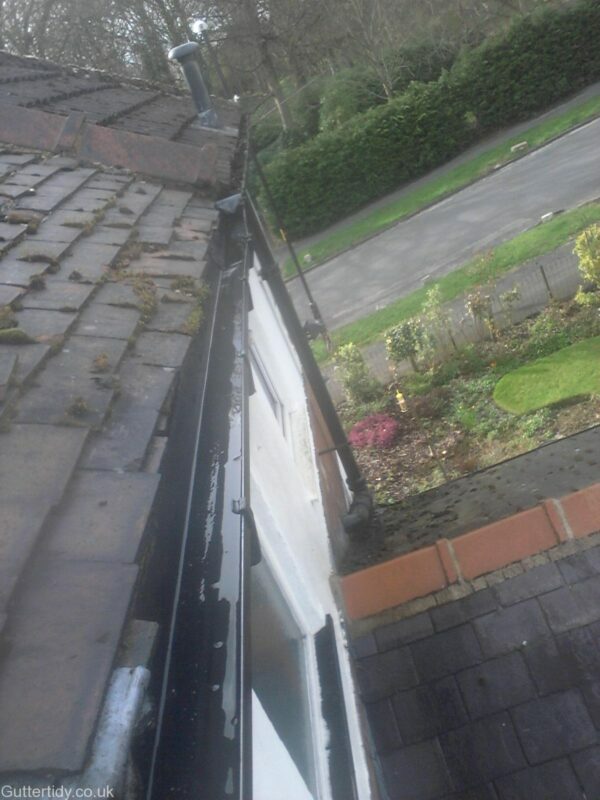 The most difficult gutters we’ve had to clean were below. 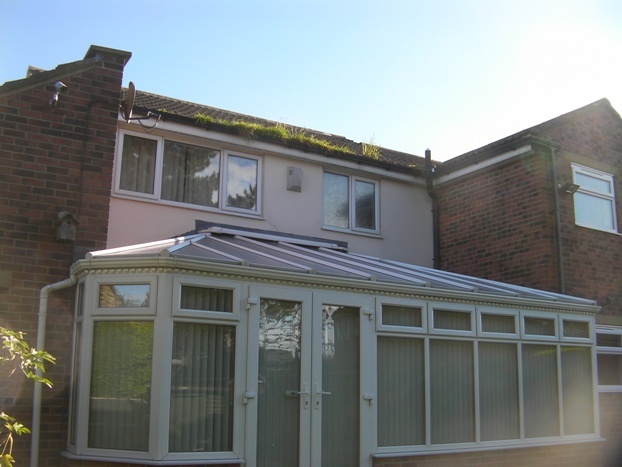 As you can see the conservatory is surrounded by the house and the garage making access extremely difficult. 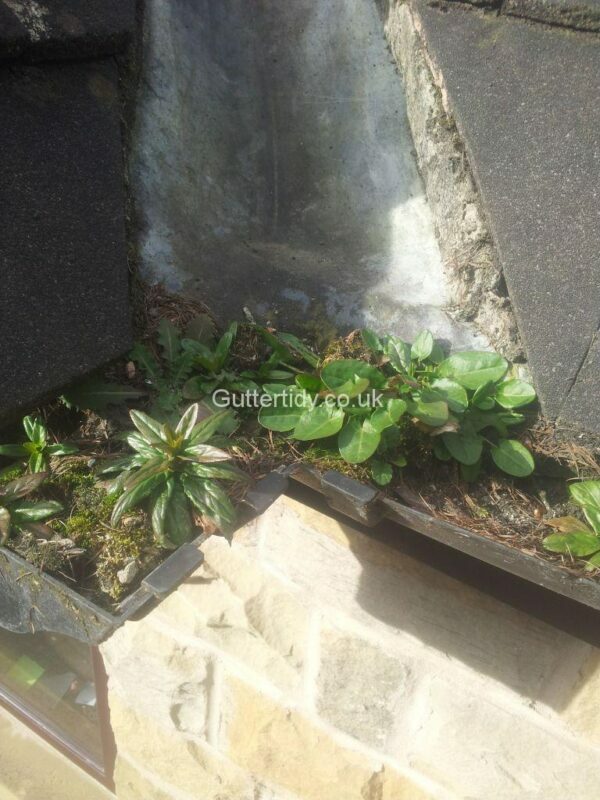 To compound the issue; as the owners were not able to find anyone to clean it before, it had been left for some considerable time, This growth was packed under the conservatory roof edge making it extremely difficult to clean properly. 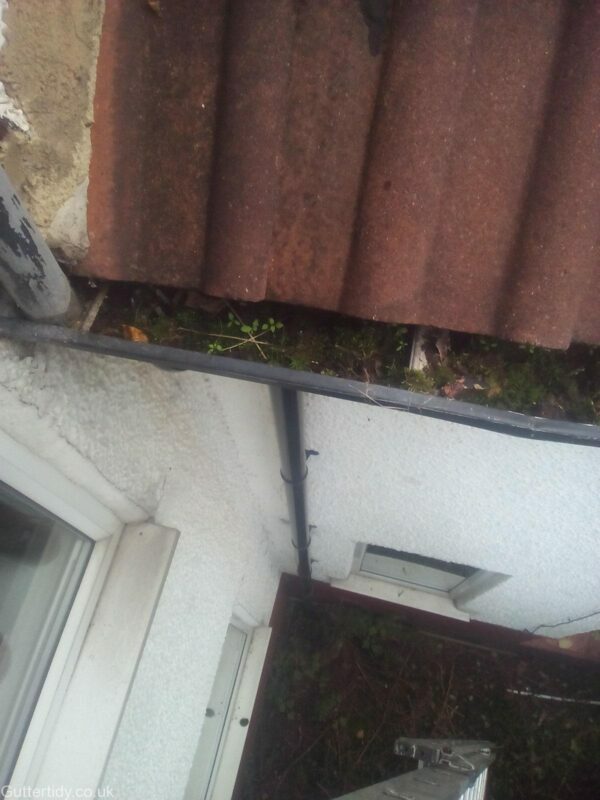 Even though there was some access from the top of the garage roof the amount of compacted roots and soil made this a very time-consuming process. 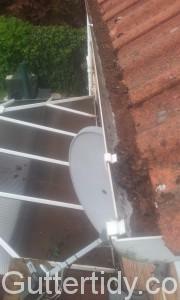 The Vac was good at getting out big clumps but had to fish out the with a gutter hook and pole. 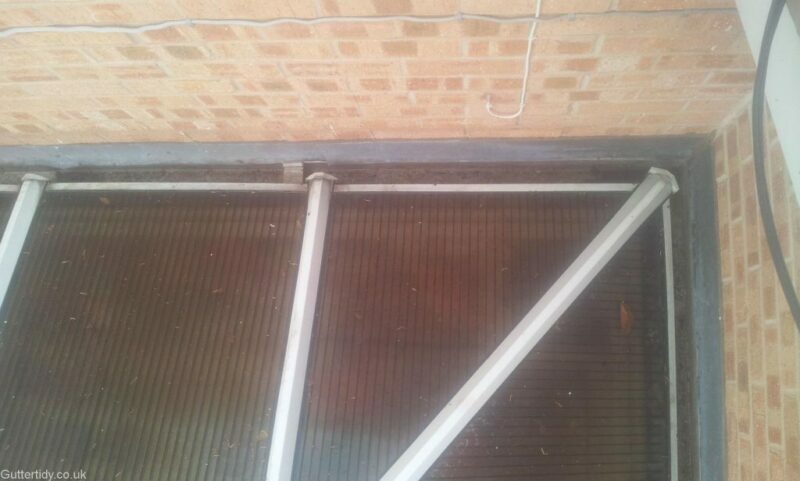 What you can’t see is the same amount of dirt again under the lip of the conservatory roof. 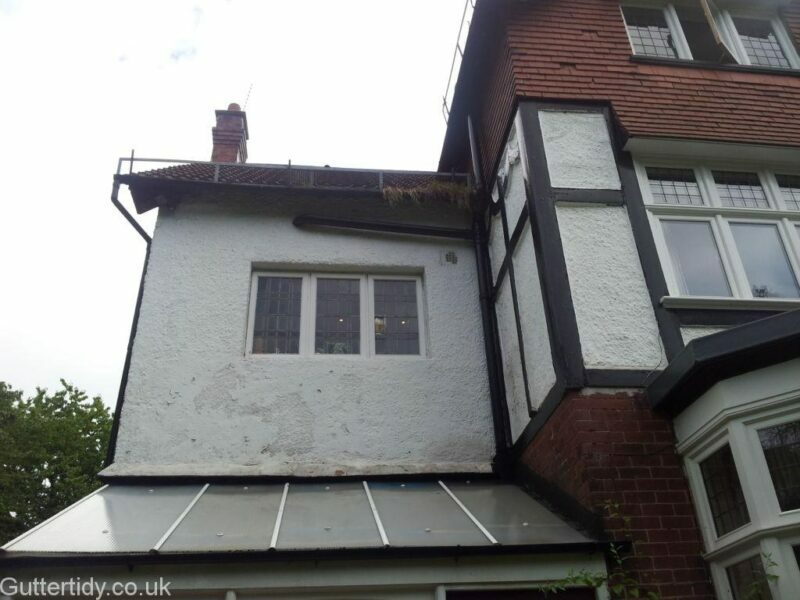 Let’s not forget about the rest of the house too! 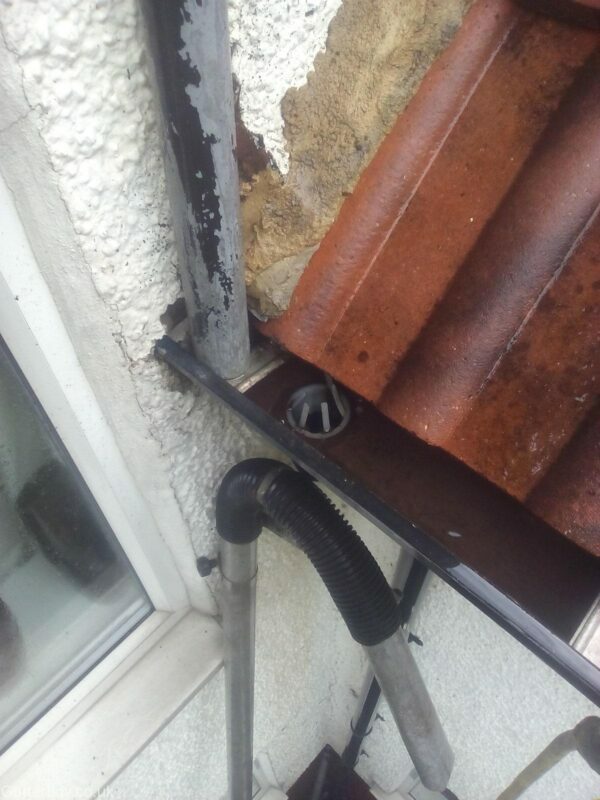 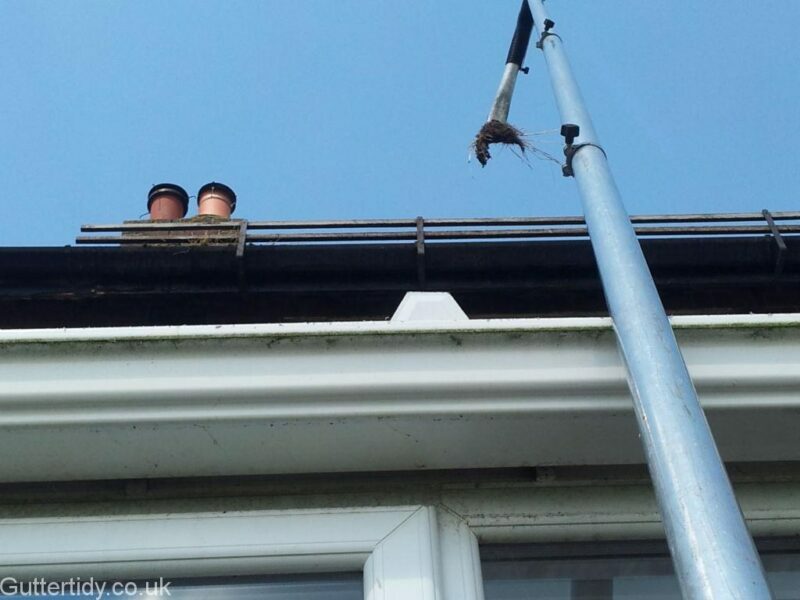 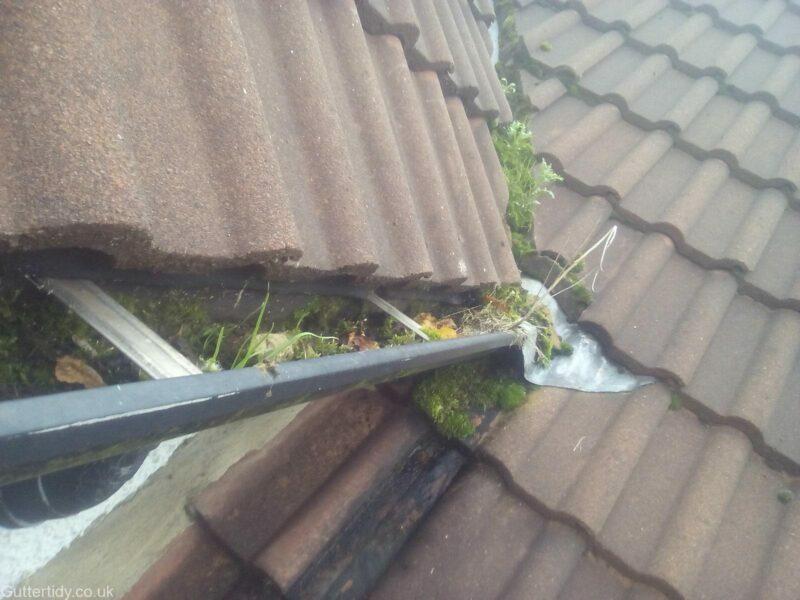 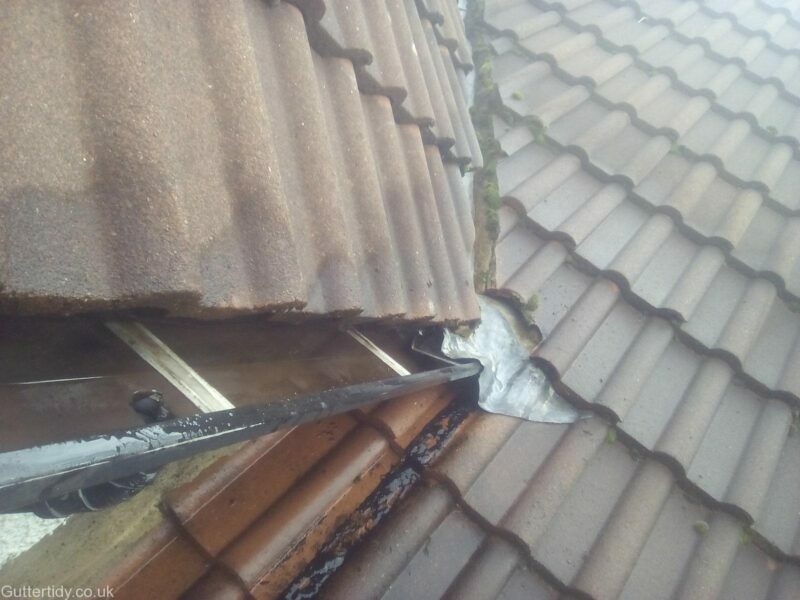 This is not intended to be a lesson on how to clean difficult access gutters but suffice to say we have lots of kit that can overcome most of the problems we face.